Suitable for most substrates - timbers, masonry, sheet steel, plastic and others. 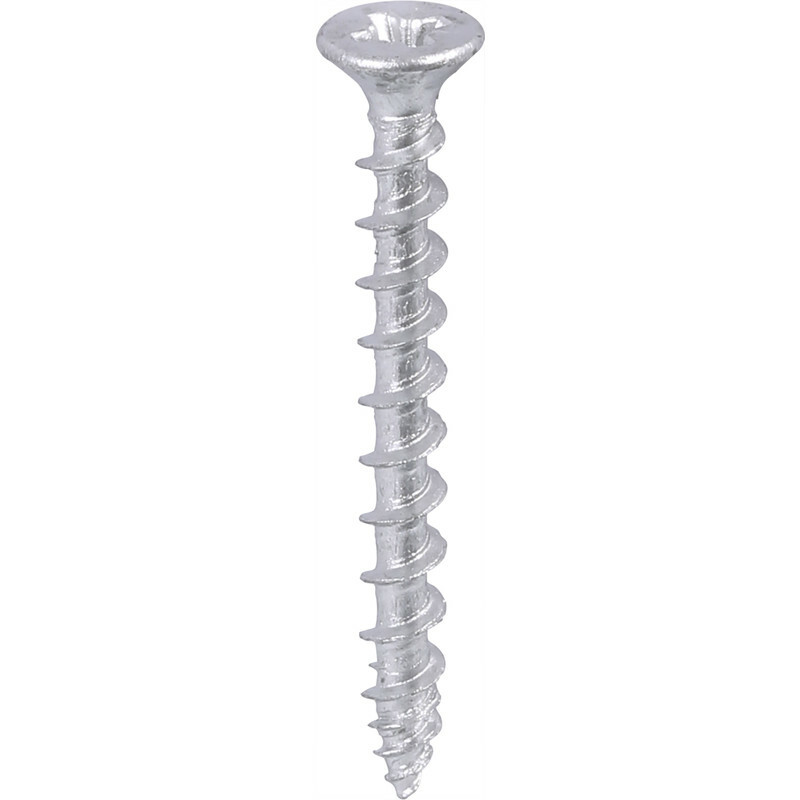 Screw-Tite Pozi Countersunk Zinc Plated Screw 3.5 x 25mm (200 Pack) is rated 4.8 out of 5 by 6. Rated 5 out of 5 by glynp from good quality screws I needed screws for an outdoor structure. These zinc plated screws were just the job at a good price. Rated 4 out of 5 by Light that in darkroom from Wood screws 3.5×16mm Got to make some new wooden door with hold well up to yet happy with my choose. Rated 5 out of 5 by Old Sped from Inexpensive and ideal for the task Needed to add some 50x50mm studding to existing. Did the job perfectly without the damage that hammering in nails would have done. Rated 5 out of 5 by Will from Tight Just what i needed, good screws did what its surpose to do and well. Rated 5 out of 5 by Nelson69 from Good Screws I have just used these screws and found them very good to use and off good quality. Rated 5 out of 5 by Nelson69 from Great screws I have just used some of these screws and found them very good.